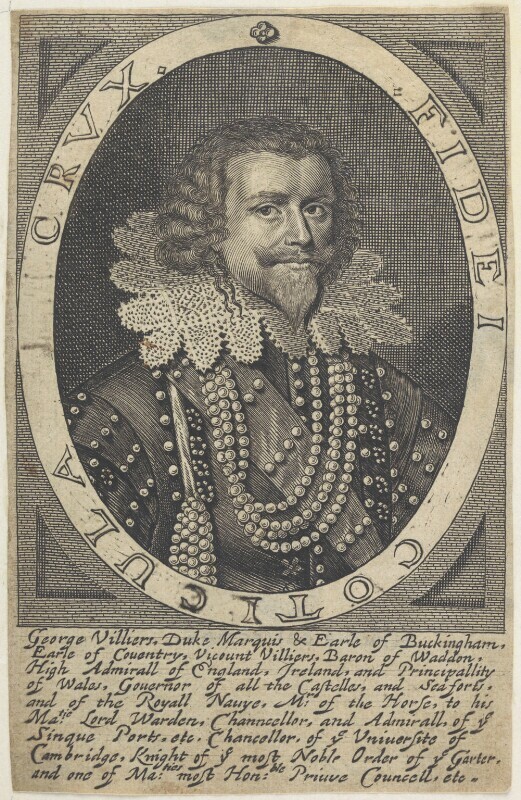 George Villiers, 1st Duke of Buckingham (1592-1628), Courtier; favourite of James I. Sitter associated with 49 portraits. Exiled Charles, Prince of Wales, holds negotiations in the Netherlands, with the Scottish Parliament to secure an alliance. Despite misgivings on both sides, and pressure from the Scots for Charles to sign the covenants, the treaty of Breda is agreed. Oliver Cromwell defeats the Scots at the Battle of Dunbar. Poet and politician, Andrew Marvell, composes his greatest political poem, Horatian Ode upon Cromwell's Return from Ireland. Marvell become Oliver Cromwell's unofficial poet laureate during the Protectorate. William, The Prince of Orange, grandson of Charles I, is born assuming the title from the moment of birth. Forty years later, he would become William III of England. General-at-Sea, Robert Blake is dispatched to Portugal to prevent attacks on Commonwealth merchant shipping from royalist, Prince Rupert, based in Lisbon.